When I represent a veteran before the VA Regional Office or BVA, I build my client's case based on the current law as I understand it. My Notice of Disagreement is shaped by the legal errors that the Court of Appeals for Veterans Claims (CAVC) has identified in case after case. The evidence I add to my client's case is based on what the BVA and CAVC accept and reject as sufficient or adequate. My entire strategy of a case can change — overnight — with a single decision of the Court of Appeals for Veterans Claims or the Federal Circuit Court of Appeals. It is critical to my practice to stay current on precedential and non-precedential changes to the practice of veterans law. That law comes from two places, primarily: the Court of Appeals for Veterans Claims (CAVC) and the U.S. Federal Circuit Court of Appeals. As an agent, a VSO, or an attorney, you know that keeping up with these changes can be exhausting, and require more time in a day than you have to give. 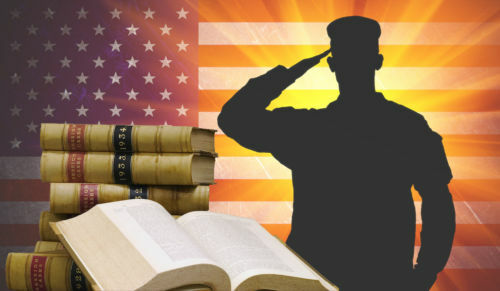 The Court of Appeals for Veterans Claims decides over 3,000 cases a year. While only about 15-20 of the decisions are precedential — actually changing a rule of law or its application — single judge memorandum decisions can change the entire course and flow of your BVA appeals by subtly "nudging" the application of law to fact in a different direction than the one in which you were heading. The Federal Circuit Court of Appeals: this court hears a lot of cases, but issues precedential decisions in a select few "game-changing" decisions that can change your entire practice overnight. Through the VA Form 21 Blog, the law firm of Attig | Steel works to keep you up to date on significant changes in veterans law. Each week and month, I will highlight and summarize single judge memorandum decisions I think might be critical to your practice. When precedential decisions are issued, we will provide in-depth analysis and summaries of precedential decisions of both the Court of Appeals for Veterans Claims and the Federal Circuit Court of Appeals. I will walk you through the critical arguments in the parties' briefs, highlight the reaction of the judges in oral arguments, and explain the impact of the court's holding on your clients and practice. The VA Form 21 Blog is unlike any resource out there — because it is designed and written specifically for attorneys, advocates, VSOs, and agents, it is a valuable tool you can use to shape, build and grow a law practice representing veterans and their surviving spouses. My goal is your goal: to give you the tools to become a powerful advocate for veterans.